AFRL TRANSFORMER | Advanced Tactics, Inc.
Advanced Tactics Inc. was awarded a contract for the Air Force Research Laboratory (AFRL) Special Ops Transport Challenge in June 2012. 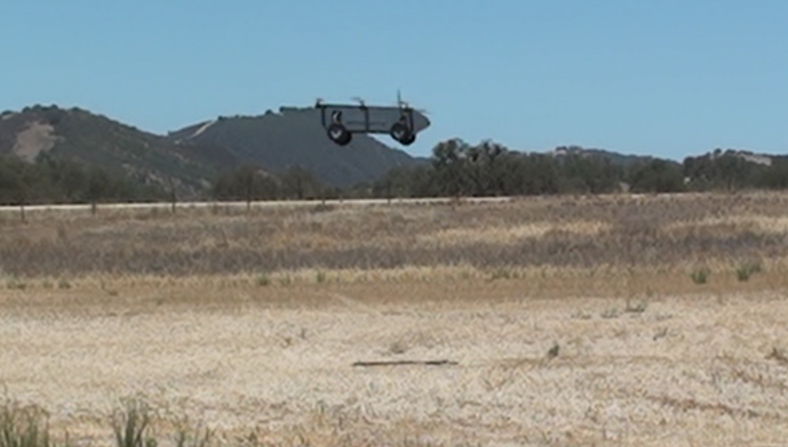 The program aims to leverage Advanced Tactics’ unique roadable vertical takeoff and landing vehicle technology to solve the challenge put forth for the Special Ops Transport Challenge, announced in mid-2011. Advanced Tactics’ platform utilizes a unique distributed lift design and is expected to meet or exceed all goals of the challenge. The awarded contract will fund an effort to study and design the objective vehicle as well as prototype and test some of the system’s critical elements. 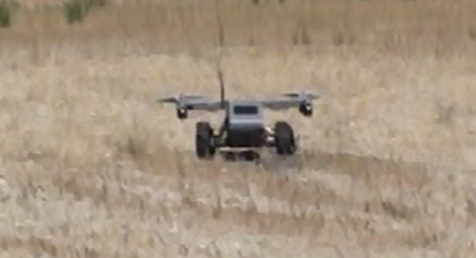 The vehicle leverages AT’s TRANSFORMER Technology: a multicopter configuration for vertical takeoff and landing flight and a ground drive system for ground mobility. The vehicle can quickly transform between these two modes of operation. The AFRL TRANSFORMER has is currently being tested and validated. Significant core research, concept design, prototype development, and testing has been completed for the AFRL TRANSFORMER vehicle. The image to the right shows a scaled prototype flown recently. For more information on the AFRL Special Ops Transport Challenge, visit www.afrlchallenge.com.